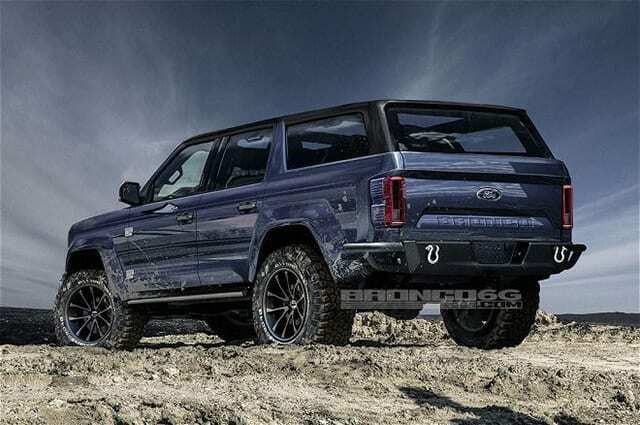 The new 2020 Ford Bronco is still under wraps, but that hasn’t stopped a top enthusiast site to imagine what it will look like. Harnessing the power of Photoshop along with some imagination, it is clear if the new Ford Bronco is anything like these images, Ford will have a big star on its hands. 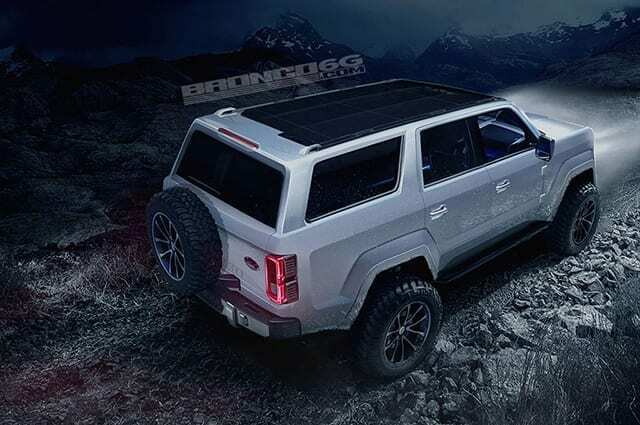 We have published renderings before from the site Bronco6g.com and while they were for a two-door model, these four-door renderings look even better to us. Our friends over at Truck Trend say, “the concept renderings show a Mercedes-esque G-Wagon front bumper, with a fascia that takes cues from the original Bronco. 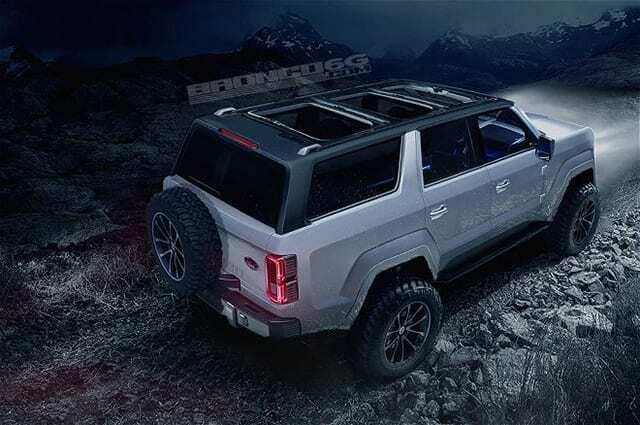 Also shown are rumored removable roof panels, and a sweeping, 4-Runner-like rear quarter roofline. It looks like the roof and C-pillars might come in different colorways, which would create some contrast in the overall design of the vehicle. show it driving down a muddy road with some mud on the tires. This suites the truck perfectly. While we love the looks of this model, it is hard to see Ford actually building it. Why? 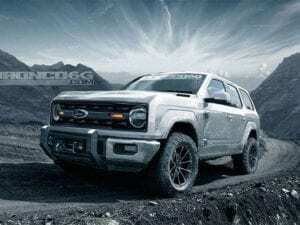 The information we have points to a mid-size model since it is going to be based on the same architecture of the new 2020 Ford Ranger. We do expect it to come in a variety of different trim levels including an off-road variant in the FX-4 trim. It will also likely be powered by an EcoBoost engine mated to Ford’s new 10-speed transmission. Expect to hear more about this SUV in January at the 2018 North American International Auto Show in Detroit, MI.